Technical support agents and customer service representatives services this company's clients from their homes. All are independent contractors and are paid on per-minute rate with a maximum of $10 per hour, but there is no minimum. Alorica, formerly West at Home, remote employees to work as customer service reps. They are compensated with a per-minute or per-call basis but will earn at least minimum wage. Apple's work-at-home call center program that hires both college students and non-students. Use the keyword "home" in the company’s job database. Employees of this company work in a range of call center jobs including sales and customer service. Additionally ARO employs insurance auditors and LPNs and RNs to work from home. Extended warranty company (formerly known as NEW Corp) pays home-based customer care reps $9-10 per hour to take inbound calls. It hires both work-at-home and office-based call center agents to troubleshoot and provide customer service for its clients. They hire agents that are bilingual in Spanish/English also. Virtual call center agents receive incoming calls and provide services that may include customer service, sales or technical support. Convergys offers paid training and benefits. Schedules 16 to 40 hours per week. San Antonio-based medical call center company hires registered nurses to work from home in its "care advisor" positions. Pay is $25/hr. Other call center jobs for non-nurses in the company are not work-at-home. Full-time, overnight work may be available and/or required. Most of EGS's customer service jobs are brick-and-mortar, the company does have a work-at-home division that has jobs for both agents and for supervisors. The company hires agents, including licensed insurance agents, for a variety of call center jobs for its clients including outbound sales, bilingual customer service (Spanish and French) and financial services. Agents are paid at a rate that is based on minutes of talk time plus sales incentives in some cases. Agents must become "certified" to work for individual clients. This certification is not paid. Applicants pay $50 (or sometimes more) for a background check. See more French-speaking jobs from home. Elite Sales Associates (ESA) set appointments, make sales and conduct market research from their home offices. Experience in telemarketing, customer service, lead generation or appointment setting is required. Must purchase some equipment from Newton, Associates must work a minimum of 20 hours a week. Cloud-based medical record system hires customer support and sales professionals with knowledge of medical documentation systems to work from home. Global BPO Sitel has a work-at-home program for U. S. residents called Sitel Work@Home. Agents in these full- and part-time customer service jobs train from home. The company provides tech support services for its clients, using work-from-home chat and call center agents. Its remote services technicians answer inbound calls. Home-based agents take inbound customer service, and sales calls for a variety of clients. Reps are paid an hourly rate of around $9 plus training is paid. Only after a position is offered, applicants pay $45 for a background check. Minimum of 20 hours a week to full-time work available. Bilingual skills a plus; languages include Spanish, Mandarin, and Cantonese. The company hires employees as inbound work-at-home agents, selling magazine subscriptions. Pay with incentives is $10-$14 an hour. 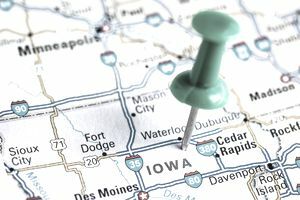 Call center company hires work-at-home agents for customer service and tech support in Iowa. Home call center agents make verification calls for the company's clients, which are primarily from the newspaper industry.